A hybrid method for developing a more principled approach is presented to determine the life expectancy of transformers. The approach is constructed on an economic analysis of the transformers operational characteristics in combination Â with the technical issues incorporated in the decision process. In this method, firstly life time of transformer is estimated using a hybrid method based on Monte Carlo algorithm and artificial neural network. Also Pareto distribution function is applied to consider health history of transformer and uncertainty in DP behavior of transformer. In the next step, a method is proposed in order to estimate economic replacement time of transformer. This method is based on the well-known bathtub failure model, containing repairs and scheduled maintenance, in order to achieve at a more economically aim Â replacing decision. This aim is obtained in part by considering the uncertainty intrinsic in transformer failures and the corresponding discontinuations in power. In essence, this method organizes a decision support system for determination the life expectancy of a transformer. Simulation results show the high accuracy and functionality of the proposed approach in estimating economic replacing time of the Transformer. Abu-Elanien, A. E. and M. Salama (2010). "Asset management techniques for transformers." Electric power systems research 80(4): 456-464. Abu-Elanien, A. E., M. Salama and R. Bartnikas (2011). "A techno-economic method for replacing transformers." Power Delivery, IEEE Transactions on 26(2): 817-829. Bartnikas, R. (1994). "Engineering Dielectrics Volume III Electrical Insulating Liquids." Bowman, M. S. (1999). Applied economic analysis for technologists, engineers, and managers, Prentice Hall. Brown, R. (2002). "Electric power distribution reliability. 2002." North Carolina, USA. Brown, R. E. (2008). Electric power distribution reliability, CRC press. DeGarmo, E. P., W. G. Sullivan and J. A. Bontadelli (1979). Engineering economy, Macmillan New York. Ghunem, R. A., K. Assaleh and A. H. El-Hag (2012). "Artificial neural networks with stepwise regression for predicting transformer oil furan content." Dielectrics and Electrical Insulation, IEEE Transactions on 19(2): 414-420. Islam, S. M., P. R. Jota and M. Stace (1998). 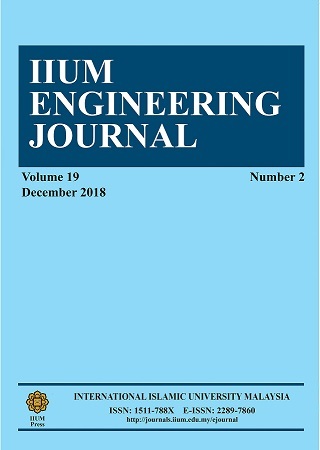 Detection of oil-paper equilibrium moisture content in power transformers using hybrid intelligent interpretation of polarisation spectrums from recovery voltage measurements. Electrical Insulation, 1998. Conference Record of the 1998 IEEE International Symposium on, IEEE. Jardini, J. A., H. P. Schmidt, C. Tahan, C. C. de Oliveira and S. U. Ahn (2000). "Distribution transformer loss of life evaluation: a novel approach based on daily load profiles." Power Delivery, IEEE Transactions on 15(1): 361-366. Jirutitijaroen, P. and C. Singh (2004). "The effect of transformer maintenance parameters on reliability and cost: a probabilistic model." Electric power systems Research 72(3): 213-224. Kachler, A. J. (2005). "Aging of cellulose at transformer service temperatures. Part 1: Influence of type of oil and air on the degree of polymerization of pressboard, dissolved gases, and furanic compounds in oil." Electrical Insulation Magazine, IEEE 21(2): 15-21. Kurtz, M. (1984). Handbook of engineering economics: guide for engineers, technicians, scientists, and managers, McGraw-Hill. Lelekakis, N., D. Martin and J. Wijaya (2012). "Ageing rate of paper insulation used in power transformers Part 2: Oil/paper system with medium and high oxygen concentration." Dielectrics and Electrical Insulation, IEEE Transactions on 19(6): 2009-2018. Li, W. (2013). Reliability assessment of electric power systems using Monte Carlo methods, Springer Science & Business Media. Li, W., E. Vaahedi and P. Choudhury (2006). "Power system equipment aging." Power and Energy Magazine, IEEE 4(3): 52-58. Modarres, M. (1992). What every engineer should know about reliability and risk analysis, CRC Press. Muthanna, K. T., A. Sarkar, K. Das and K. Waldner (2006). "Transformer insulation life assessment." Power Delivery, IEEE Transactions on 21(1): 150-156. Newnan, D. G., T. Eschenbach and J. P. Lavelle (2004). Engineering economic analysis, Oxford University Press. Retterath, B., S. Venkata and A. A. Chowdhury (2005). "Impact of time-varying failure rates on distribution reliability." International Journal of Electrical Power & Energy Systems 27(9): 682-688. Sen, P., S. Pansuwan, K. Malmedal, O. Martinoo, M. Simoes and K. Butler-Purry (2011). "Transformer Overloading and Assessment of Loss-of-Life for Liquid-Filled Transformers." Power Systems Engineering Research Center. Starr, T., B. Dakin, P. McMahon, P. Harrold and C. Densley (1979). Engineering dielectrics volume I Corona measurement and interpretation. Engineering Dielectrics Volume I Corona Measurement and Interpretation, ASTM International. Van Bolhuis, J., E. Gulski and J. Smit (2002). "Monitoring and diagnostic of transformer solid insulation." Power Delivery, IEEE Transactions on 17(2): 528-536. Wang, M., A. Vandermaar and K. D. Srivastava (2002). "Review of condition assessment of power transformers in service." Electrical Insulation Magazine, IEEE 18(6): 12-25. Wouters, P. A., A. Van Schijndel and J. M. Wetzer (2011). "Remaining lifetime modeling of power transformers: individual assets and fleets." Electrical Insulation Magazine, IEEE 27(3): 45-51.